Congratulations & welcome new online students! 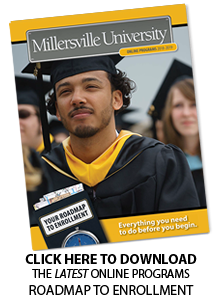 This valuable resource is intended to be your guide to getting started at Millersville University. Please download it and save it for your reference. If you have any questions, please contact the Office of Online Programs at (717)871-7200 or OnlinePrograms@millersville.edu. Best wishes in your first semester!